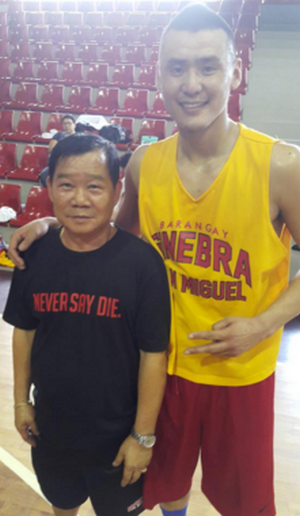 Long-time Barangay Ginebra liaison officer Mang Crispin Tiamson got rushed to ICU yesterday. Good thing he's now stable. 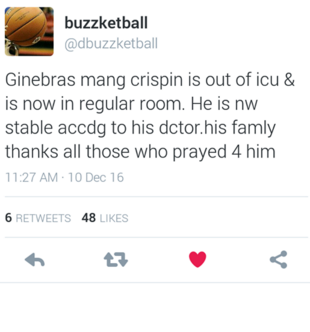 Get well soon Sir! 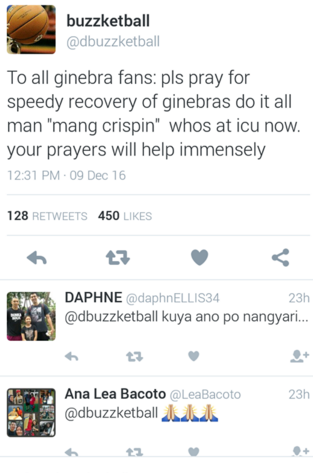 We'll pray for your fast recovery.